Well, it doesn't feel very steamy today even though my image today is for the Steamy Sunday theme I co-curate over on G+. I am enjoying this cooler weather we are having instead of the heat. Only 60F when I got up this morning. Quite odd for August. 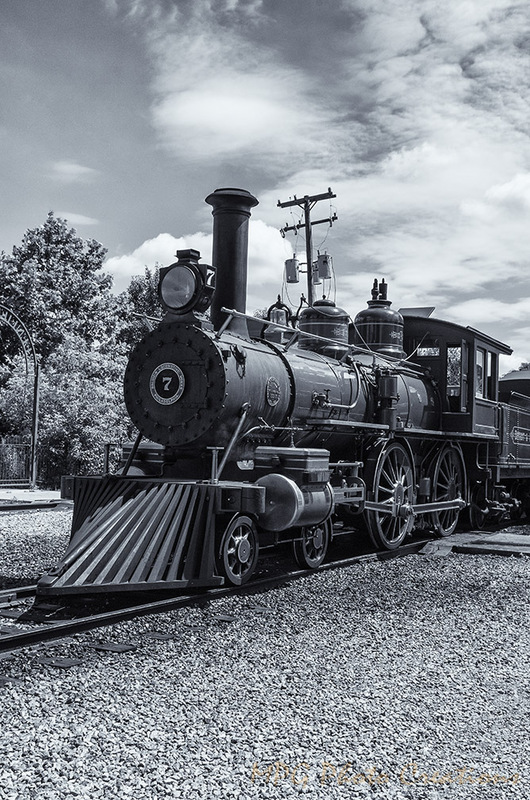 My image today is a monochrome treatment of the locomotive we rode behind at the Greenfield Village in Michigan. This is Henry Ford's No. 7 near the roundhouse at the village. There is an update to the Butterfly ID from post 8/11/16 for any followers interested.